Thanks to Everlast EverGel Gel bandages, tiresome bandage-wrapping is no longer necessary. 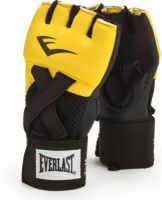 The Everlast EverGel bandages can be easily put on and are worn under boxing gloves as replacement for boxing bandages. The integrated gel absorption of the Everlast bandages protect joints from possible injuries. Elastic stripes support the wrist while reinforced seams of the Everlast EverGel Gel bandages guarantee a long durability. 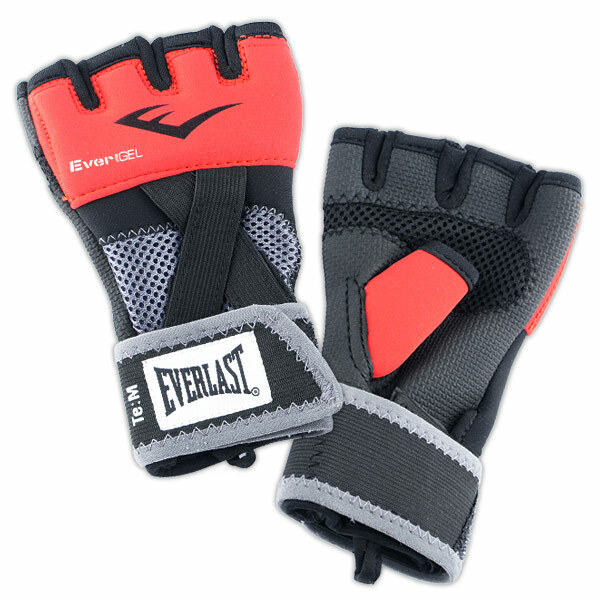 Thanks to their special design, gel bandages are also ideal for protecting while exercising light machine trainings on speedball, speedball, double endball, punching bags, etc.